Business schools face significant marketing challenges. Consider who they’re marketing to. There’s Shane, the high school senior interested in pursuing an undergraduate degree. Ling is researching PhD programs that will set her up for a future in academe. Robert has been an engineer for five years and is now primed for an MBA. Kate wants to crack the C-suite by sharpening her leadership skills through executive development. And Elamin wants to keep up with his old school chums and is considering donating to his alma mater. That’s quite a demographic spread requiring multiple marketing approaches. A crucial part of all these strategies involves tapping social media channels — Facebook, Twitter, LinkedIn, and others — that are particularly well-suited for reaching most of the communities of interest to business schools. To see how they are approaching this new area of marketing, I conducted a survey of the social media strategies of 25 Canadian business schools. 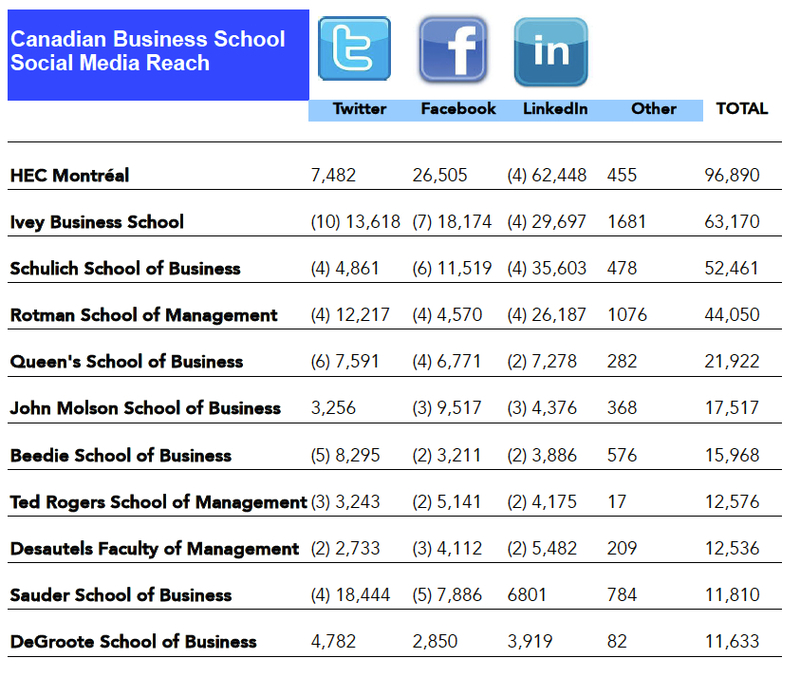 Here’s the highlight list of the top 10 business schools most active in social media marketing. Download the full list here. Most of the big hitters in this area avoid a one-size-fits-all strategy. They maintain multiple Facebook, Twitter, and LinkedIn accounts for their many communities. Facebook seems to be the cornerstone social media platform for engagement with undergrads and MBAs. 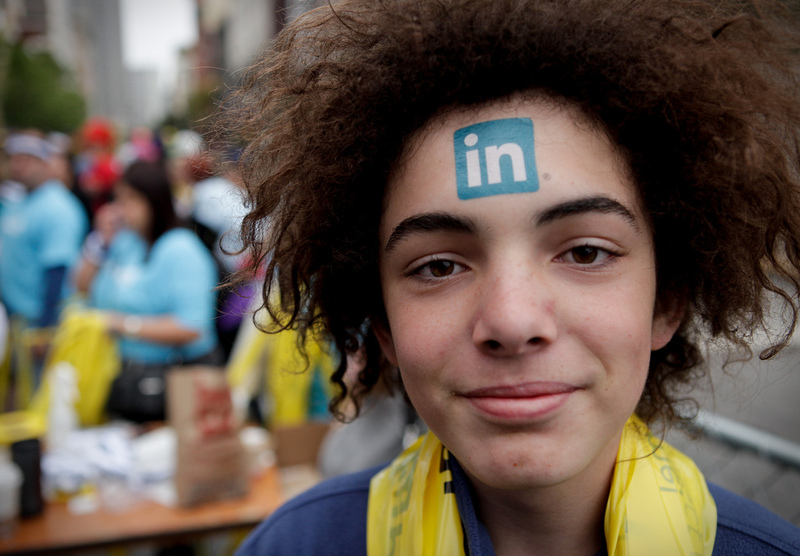 LinkedIn is the go-to platform for alumni relations and management/executive development units. Business schools that activate their LinkedIn “university” page dramatically boost their social media reach. The university page connects to all users listing that university in their profiles. It differs from a business page, which shows updates from the school, connections, and featured groups. LinkedIn is still rolling out this feature but business school marketing managers can get more information here. Google+ has not caught on with business schools, except for Memorial University’s Faculty of Business Administration. Way to go, MUN! In terms of relatively untapped opportunities, I think there’s room for executive development units to do more to incorporate social media in their marketing mix, in the areas of pre- and post-program engagement. I know social media is a harder sell for mid-career and senior businesspeople, but this may change as younger, social media-savvy businesspeople take their place. I’ve done my best to accurately measure the social media channels of these schools but if you spot any errors, email corrections to alan (at) alanmorantz.com.